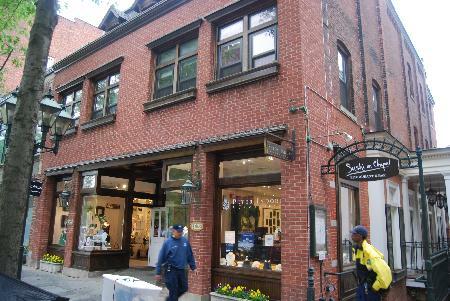 Situated along the historic Chapel Street Shopping District, The Alluvia offers second- and third-floor apartments above the elegant Chapel Street shops, across from Yale's Vanderbilt Hall. The apartments enjoy central air conditioning, and many feature exposed brick walls. Tenants are responsible for their electricity (heat, A/C, and hot water.) Residents will find themselves within easy walking distance of The Art & Architecture Building and the Medical School.